The insatiable urge to explore the unknown and travel uncharted routes took me to destinations closer home this time. A trip which had to be shelved six months ago despite most reservations, kicked back to life with the onset of the vacation time. A trip to Chennai, Sri Lanka and Maldives had set the pulse racing and in the wee hours of the morning we set off on 2nd June. Our baggage was through checked in till Colombo so armed with our hand bags we walked out to the waiting air condition bus to the CMVT bus station in Chennai. Thanks to Jet airways who played havoc with itinerary we had a full day in Chennai which we used fully to visit Kanchipuram located 80 km from the city. The weather was perfect with clouds and rain after landing from sweltering Delhi. A nice hot lunch on the banana leaf set us in the right mood to have a look at the Government Silk Factory where the weavers spun lovely sarees on loom. Next we visited the Kanchi Kamakoti temple which reopened at 4 PM. By the time we returned to Chennai International airport it was past 9 PM. The flight descended into Bandaranaike International Airport amid turbulence caused by the monsoon clouds that hovered over the city. Colombo glittered in the twinkling lights as if stars had descended from heaven. Within 45 minutes we got cleared from the customs and immigration and got into the taxi that headed for the hotel through an occasional shower and silent dark road. We reached our hotel, quickly changed and dropped into the bed, exhausted after a long day. In the morning we got ready and took a train from the Maradana railway station that was just about a 100 m away. The streets were bustling with the Monday morning rush. In 10 minutes we arrived at the Fort Colombo Railway station. The ticket window had closed for the lunch break so we strolled around the market adjacent to the station. We then returned to the booking window and within 15 minutes of waiting in a small queue we had the ticket for travel to Kandy for 5th June. After this we were once again back on the streets and headed for Galle Road where the roaring Indian Ocean greeted us. One person came over and suggested we visit an exhibition and even hailed an auto rickshaw for us to take us there. After 10 minutes of drive he brought us to the Stones and Gems collections where the salesman tried hard to sell us some stones. I realized that it was probably the game plan of the man who appeared to be a smooth talker to lure us to the store! Luckily we had just spent 20 LKR for the auto trip! Next morning, once again we hit the streets after a nice breakfast .We had missed the local by a whisker so we went to explore the Food City / Cargill store. We finally reached Kollupitiya which was a very small station that overlooked the Indian Ocean. The sight was just amazing with huge waves bouncing along the jagged coastline and throwing a huge spray. We walked along the streets up to the Town Hall. It was a fairly long walk with a brief stopover to exchange the money at Sampath Bank. The Town Hall was a huge building where government offices are located. It is a busy area and has a lovely mosque and a church in the vicinity. A huge shopping complex called Odel was just across the street! It is a shopper’s paradise with designer clothing, bakers, jewelry, perfumes and anything one can think of. Sri Lanka produces one of the best clothes and we could see an ample display of this. We were booked to leave for Kandy the next day .The hotel arranged a drop to the station, so in 20 minutes we were there. A flurry of activities was witnessed en route with the hawkers offloading huge cache of coconuts, pineapples, newspapers for onward sale. Precisely at 9 AM the train moved out of the station. We were lucky to have got seats in the Observation Saloon which offers some of the most spectacular views of groves of lush green jungles, flora and fauna and endless view of coconut, jackfruit and banana plantations. The only halt was at Rambukana and Peridaniya . As the train entered the Kandy station, a shower greeted us. The pickup met us at the station and took us to the hotel. After a quick freshen up we were headed to Kandy View point the first place on the itinerary! The place provides a lovely view of the lake, The Temple of the Tooth Relic and towering statue of Buddha at a distance. Next we went to Peridaniya driving through the busy streets to reach the Royal Botanical Garden. It is a treat for the nature lovers to see the exotic plants, herbs, flowers, and cacti from every region. The unending chatter of birds is music to years. A newly wed Indian couple honeymooning were enjoying the rains in a Bollywood movie style!! From here we went on an art tour to see a craft factory of woodwork where wooden carvings were produced with equally flawless pieces of furniture. The owner showed us how the natural colors are produced just by combination of wood grains from the bark of tree, lime water and a few ingredients. The visit to a Batik factory with a detailed tour of how the paintings are produced on cloth with different kinds of wax and the process of coloring was fascinating. We then headed through meandering curves to reach the giant statue of Buddha that overlooks the city. The next halt was the venue of Kandiyan Dance performance which is a must visit! The colorful costumes, and dancing skills with an ultimate display of fire eating and walking on hot ambers of fire leaves one in awe. The visit would have been incomplete without seeing the ceremony at the Temple of the Tooth Relic where hundreds of people had lined up for a glimpse of the tooth of Buddha. A lovely ending to an eventful day. The previous day was a very hectic one and hence it was decided to visit Dambulla known for the Rock cave and carvings. We had our breakfast and headed to the bus station which to our utter surprise was not too far. A short pleasant walk down the slope brought us to the bus stand adjacent to the lake. The lake is pristine with a thick foliage of trees around it . The best thing about the lake is the spotless cleanliness which immediately lifts the spirits. Just near the bus station is yet another towering statue of Buddha . The bus station `is a busy place and soon we headed towards Dambulla! On the outskirts of the city there are a number of car garages that restore and repair old cars! It is quite an unusual sight, but a flourishing business. The route is enchanting with a backdrop of small hills and never ending greenery to give company with all kinds of trees laden with fruit like coconut, bananas, papaya, betel nuts to name a few! In two hours the bus halted in front of the huge towering golden statue of Lord Buddha, an awesome sight! We rushed down and headed to see the lovely creation. There is a museum, a radio station first of its kind at this location. A long flight of 300 steps carved out of stones leads to the Cave s that was constructed in such a magnificent manner that they find a place in the list of UN Heritage sites. The structure is grandoise and hundreds of statues of Buddha and frescoes and painting adorn the place. The climb down was easier and we were fortunate to find a bus returning to Kandy and headed back. After reaching the city we explored the market area where hawkers were selling clothes at a bargain. It is a busy place with a lot of color and I kept admiring every passing woman who wore a traditional saree with my wife as a partner in crime till we managed to take a picture of one for the sake of memory. Next day we decided to explore Nuwara Eliya, a hill station located 80 km away from the town of Kandy. It is said that if one wants to see Sri Lanka, one must step out of Colombo and this is very true. Every nook and corner is steeped in history culture and mystical natural charm. The route to the destination is a treat itself with never ending tea gardens on either side of the narrow road. For miles as far as the eyes can see one can find the grey clouds drifting past, a chirp of birds, and tree plantations. In a little over two hours we reached the highest point of Sri Lanka. The town has an old world charm of a British past with buildings from the Victorian era and a blend of modernity like Cargill Food City market. There are lovely gardens like the Arthur Garden right adjacent to the bus station. A sprawling golf course and walks add to the beauty. There are vendors that sell peanuts and guava and tamarind. An occasional shower came but our umbrellas came to our rescue. We walked around for two hours inhaling the freshest air full of aroma of the tea leaves and finally left after buying a sample of tea! The return journey was equally interesting but due more number of stops we reached back Kandy in three hours. Just as we returned to our room, a huge thunder storm struck and the rains lashed the place for whole night. How lucky, we escaped the nature’s fury. A torrential downpour started past midnight and continued for the day. The constant banging of doors due to the winds that struck with force kept me wide-awake most of the night! When I got up it was still raining so decided to make the best out of the weather by enjoying a hot cup of tea in the verandah and watch the rain dance of nature! Later we decided to brave the rain and walked down the hill to the lake. We came across a new wed couple who had come down to the spot for getting photographed dressed in the wedding suit and heavy Sri Lankan saree! We too requested them for a picture and later wished them happiness in their wedded life! After returning to our room we had an early lunch and packed up to check out! We left for the station and finally bid good bye to Kandy at 3 PM as the train chugged out of the platform. The journey of 2 hours and 45 minutes was a pleasant one with constant lashing of the rains! At 5.45 PM we arrived at Maradana station and the hotel being just at a walking distance reached there in a few minutes! Another day in Sri Lanka had come to an end and not before I ventured out in rain one more time to the market before calling it a day. Next morning we decided to have a day indulging in shopping and meeting a blog friend Asamptha and her family. We headed first to the shopping mecca of Colombo, ‘The House of Fashion’ located at Bambalpitiya which opens each day at 10 AM and closes by 8 PM except on Sundays when it closes early at 5 PM. I am yet to see a place which has people milling at the gate even before the opening time as if the items are being sold for free! Next one hour was spent in the fascinating store and picking a few items. We next headed for Colombo Swimming Pool, located just opposite the Temple Trees, official residential palace of the President, at the Galle Road. It is a high security area but the traffic passes on as usual without hindrance to general public. A huge shopping complex called ‘The Crescat’ which houses all the major brands and a supermarket were a pleasant place to walk around. We spent an hour here too buying some small items and treating ourselves with chocolate fudge which was just superb! Around 1 PM we crossed over to the Colombo Swimming Pool a sprawling place which kisses the Indian Ocean with just a wall separating the two. It has a colonial past and has all facilities of Swimming pool, Squash, Lawn Tennis and even a lavish restaurant. Soon, Asampatha came with her husband Anil and their two small children aged 6 and 9 years. Next two hours the time flew as we exchanged thoughts and no wonder ‘the face behind ‘Thoughtsof PAPS’( Blog of Asamptha) was more charming than the blog itself. This was the first time I along with my wife had met a blog friend on a foreign soil! The family was extremely hospitable and knowing we were vegetarians left no stone un turned to make us feel completely at home. It was a wonderful experience, not very easy to express in words. They later showed us a Buddhist temple and dropped us at ’The Paradise’ a specialty store that sells art ware ranging from ceramics, handmade paper, wood carvings, even fruit replicas created from cement! It was virtually seeing all the creative genius of Sri Lanka under one roof! Just across the street is ‘The Odel’ shopping complex! Unable to resist the temptation, we indulged in more shopping to calm the itching feeling on the purse. A day of achievements of sorts filled with happiness of meeting a nice friend, lots of eating and splurging came to an end. Next evening we were to leave for Maldives so the final night at Srilanka before bidding adieu! PS: A recent break from work and blogging took me to some exotic destinations. I share the journey with you in two parts ! A huge thanks to blog friend Asamptha in Sri Lanka, who I happened to meet during the trip and was a perfect host. I loved Kandy more than Columbo and Nuwara Elia is heavenly in rains.Did you see Ashok van and Sita temple ? Did you buy some crockery? I guess Sri Lanka is famous for it. Good to see you having fun with family. Sounds like a wonderful trip, Rahul. I've always coveted the masks from SriLanka. Someday! Now, what I want to know is this: when are you consolidating your travelogues and compiling them into a book? :-) Cheers! Always a pleasure to read your words. Oh wow - what an amazing trip! Sounds and looks wonderful. Thaks a lot Lady Fi! It was wonderful indeed! I'd love to visit sri lanka!!! In this case the delays provided more opportunity to travel destinations that were not actually on the agenda:)Meeting a blogger was an icing on the cake in Colombo and for sure I have saved the itinerary for you and Alok for travel to this fascinating country, now that he has fallen in love with the place! Sounds like a fun trip with the family. Nice travelogue! Grazie mille per i gusti di Jessica post! Must visit Mr Chowla! You won't be disappointed. Kanchipuram is my birth place :D Srilanka does seem to be an exotic tourist location, green and beautiful. Nice to read about your trip. Thanks a lot , Giribala! Looks like you had a wonderful time, Rahul. I have been planning to visit SriLanka from quite some time. Great pictures. Btw...how was the food in all the places you visited. Rachna, Sri Lanka has so much to offer for tourists and food is never a problem more so if you love spicy food:)Must visit!! Yeah after a trip to UK you will be able to see a culture and place which is closer home, Deepak! I haven't seen this side of Sri Lanka, it was a wonderful journey of words through your perceptive and well-written thoughts. I love the sound of it, it must have been an incredible adventure. How great that you got to meet a fellow blogger too on your trip! Must make another trip to Sri Lanka, Sam, if you have missed places like Kandy and other places:) They reflect the true beauty of Sri Lanka:)Meeting with a fellow blogger in Colombo was just awesome! Sorry, I meant I hadn't seen this side of Sri Lanka on Travel TV and in magazines, its always great to get a real tourist's unbiased opinion and not one from a paid tv series. Thanks for taking the time to stop by. Happy Friday! Ha ha Latha... I know the post was a bit longish but thanks that you managed to endure it:) I got a bit carried away in describing things:)Next week you will have a virtual trip of Maldives ! These places have been on my agenda for quite some time, thoroughly enjoyed your trip narration.. most of all Kanchi temple is my priority! Padmaja, the visit to Kanchipuram was by a god's invitation it looks like as the flights got rescheduled:) The place was absolutely wonderful with a lovely weather! Hope you are able to visit the places soon! Whoa! A trip to Sri Lanka, how wonderful! It is one of my dream destinations.. I feel it has a certain peaceful aura around it. Your in depth and beautifully written travelogue is making me want to pack my bags and head towards this paradise right away. :) Looking forward to reading many more tales from your trip vacation. You are an inveterate traveller Rahul & i enjoy seeing those places through your posts.So many interesting things to see there. Ha Ha..... Indu, thanks for addition to my vocabulary!I am happy I could take you on this virtual tour! Lovely description, really enjoyed the trip. Now waiting for the Maldives, it must have been wonderful. A big thanks Rama, and it is a delight to see you enjoy the post! The lush greenery is so inviting. Looks a lot like Kerala to me. It is so close from here. Let's see when we can get to go there. The never ending green is just the same as in Kerala or even more, Rachna:) For you it is just a short hop across provided you have the time! Thanks a lot! So many beautiful places to see and so little time. And it appears you had a wonderful vacation in Sri Lanka. So true, so much to see and so little time, Purba! It was a good time visiting these lovely places! You make me want to make a lot of money and just go somewhere, Rahul ji! I wonder how they got cacti in Sri Lanka, since it rains a lot there. wow!! what an exotic adventure!!! lovely! I keep reading about Sri Lanka in newspaper..
everyday somehow it just find space in one of the page..
political, social, sports... I've been about this aspect of Sri Lanka till date.. This is one great trip! Sri Lanka is so close and how I yearn to visit. Hope it will happen some day. I liked the pic of mask making very much. 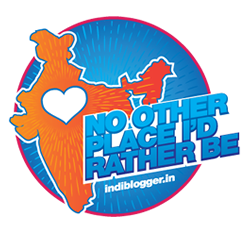 Welcome to my blog, Indrani and it was a lovely trip indeed! The masks look very beautiful and the way they are created is something worth seeing! I've revisited my travel memories in SL through your post. Believe me your post and pic on Dambulla were inspiration to visit the place, Bindu! Thanks for your comment! There are so many nice things about Chennai but I could only mention a few Ashwini:) You live so close to Sri Lanka that it would not be a problem to plan a trip there! Thanks a lot!! Thank you Rahul for that lovely write up. It was my pleasure and glad you enjoyed your stay. Hope you come again with your wife. Sorry it took me so long to comment as we were so busy as Aakash had a swim meet for four days, camp, and a karate exam all within a week. Small note it was a Buddhist temple not a Sindhi temple. Colombo has been on my list of 'Places to visit' and now I hope I can pester my husband better.. Looks like a green, peaceful place, worth a visit..I m sure u enjoyed the rains... Thanks for writing every bit of it because it was a pleasure to read it. And meeting a blogger friend makes it special indeed.. True AS! The promotion of tourism is aggressive in SL and they have done rather well! !